Apple’s March 25 event at the Steve Jobs Theater on its Cupertino, California, campus featured a host of announcements about Apple services. 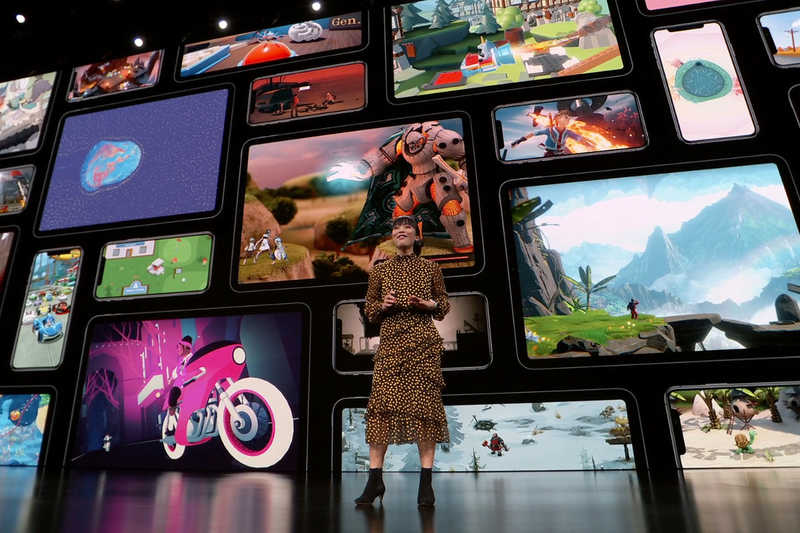 The company lifted the lid on its long-awaited streaming television platform, Apple TV Plus, and unveiled a subscription service for iOS-exclusive games, Apple Arcade. Both of them will go live in fall 2019 as monthly subscriptions, although Apple did not announce pricing. There wasn’t much beyond a sizzle reel when it came to footage of Apple TV Plus shows. But the company did trot out entertainers such as Steven Spielberg, Reese Witherspoon, Jennifer Aniston, Steve Carell, J.J. Abrams, Kumail Nanjiani, Jason Momoa, Alfre Woodard, and Big Bird to discuss projects such as Amazing Stories, See, The Morning Show, Little America, and Little Voice.